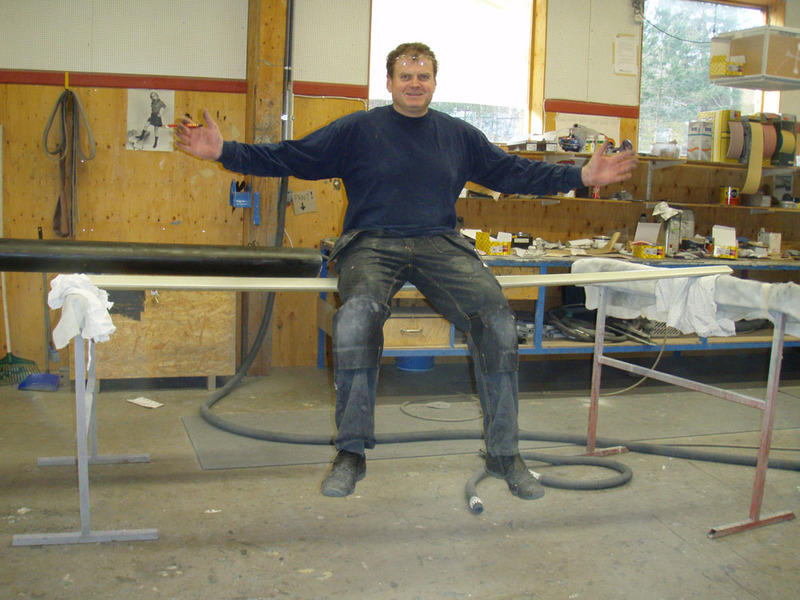 Yrvinds 2.7 meter or 9 feet long mast came out of the autoclave well cured and in a perfect shape. Thank you everyone at Marström forall the help. 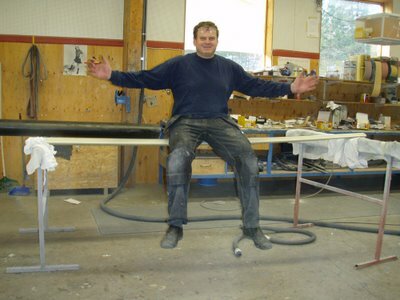 Here it is the mastshop, being tested for strength by our strong man Mario. 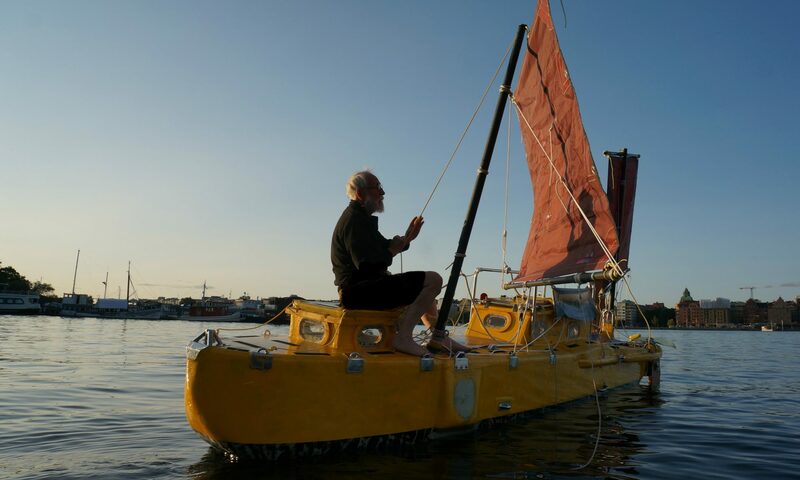 If it can survive his 150 kilo ( 330 pounds ) of muscles I dont think I have to worry in the Southern Ocean. Presently Im working on the masts three goosenecks. Besides the usual one for the boom my rotating mast has two on the leading edge as well. One for the supporting spar and one for the whisker pole. The goosenecks also serves as mast steps. I have no halyards as its easy to reach the mast top. Its lot of fun to at Marström and there is always exciting projects going on. Due to rapid expension and many new orders we need plenty of more engeniers at least two right now. If any of my readers are familiar with the computers and the program “solid works” please apply for a job. For more details visit our webb page MARSTROM.COM mention my webb page.